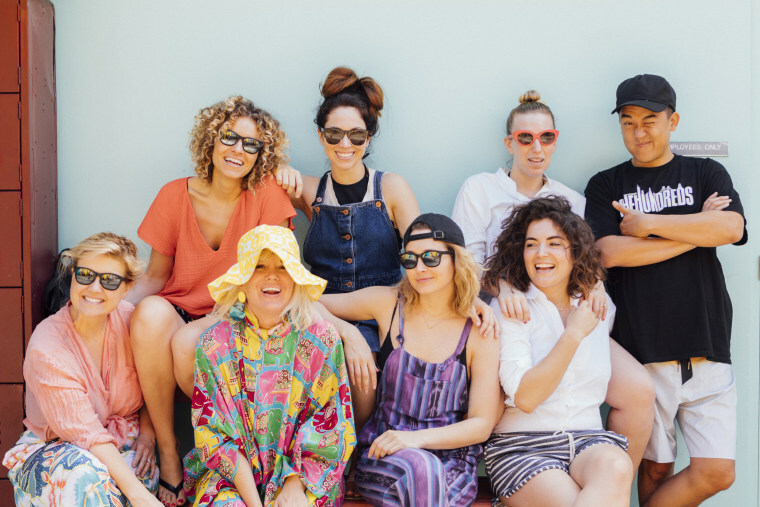 Richer Poorer co-founder Iva Pawling (upper left) poses with other social media influencers during her company's "Just More" marketing campaign. When Iva Pawling and Tim Morse, co-founders of the stylish inner-wear brand Richer Poorer, needed to map out their marketing and business strategy for this year, they came up with one wild idea. Pawling, along with five like-minded business owners, would venture to the island of Honolulu for six days of adventure and bonding over business. Pawling and Morse were confident that their innovative approach to influencer marketing would be a huge success. Social influencer marketing had become one of the biggest trends in digital advertising for consumer-facing brands. However, their internal team was not so convinced. “They thought we were crazy. Mostly it was like, ‘Yeah, you just want to go to Hawaii with a bunch of people,’” said Pawling. The Richer Poorer staff simply did not understand how this trip to paradise would actually make marketing sense. What is social influencer marketing? Social influencer marketing strategies typically leverage the power of people with significant influence in the social space. From YouTube sensations to stars of Instagram, brands are paying social media celebs to push products or promote services. When Pawling and Morse first decided to give influencer marketing a go, they struggled with the concept. “We worked with an influencer one time who was lovely and she came into the office and shot a look book,” said Pawling. The problem was that the marketing initiative didn’t feel authentic. “This isn’t a great execution because the jig is up,” said Pawling. “Everybody knows that influencers are getting paid to post about products.” So, the founders went back to the drawing board to try and figure out another approach to this strategy. “We started flipping the way we were looking at this,” said Pawling. The two considered various people with significant influence in the social space. They landed on other brand owners, just like themselves. That concept evolved into the Richer Poorer “Just More” trip. The plan? Take a small, highly curated group of fellow entrepreneurs on a vacation, who not only had significant social media followers but who also embodied the positive, can-do spirit of the brand. The hope was that by creating an incredible experience, those CEOs would in turn, post about the trip. Pawling and Morse decided to go for an eclectic mix of brand owners that included: Bobby Kim, co-founder of the streetwear line The Hundreds, Ellen Bennett of Hedley & Bennett aprons, and Jeni Britton Bauer of Jeni’s Splendid Ice Cream. The island adventure wasn’t entirely all shop talk. From surfing lessons to tropical hikes, the group explored the many things that Honolulu has to offer. The trip was a huge success, with the Richer Poorer e-commerce site receiving millions of impressions as a direct result. Pawling and Morse were also able to launch post-trip marketing initiates like “Just More” giveaways, giving them direct access to hundreds of thousands of potential new customers.